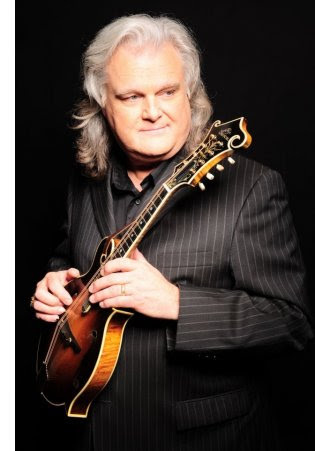 Nashville, Tenn. (October 26, 2016) - Fourteen-time GRAMMY® Award-winning music legend Ricky Skaggs will perform on "Country Music's Biggest Night." Skaggs, a former CMA Entertainer of the Year, will be part of a star-studded lineup next week at "The 50th Annual CMA Awards." "What a joy it is to be back at the CMA Awards," says Skaggs. "And to be included with so many of my heroes is very humbling." Additional legendary performers include Alabama, Roy Clark, Charley Pride, Alan Jackson, Reba McEntire, Clint Black, Brooks & Dunn, Vince Gill, George Strait, Charlie Daniels, Randy Travis, Garth Brooks and more. "The 50th Annual CMA Awards" will be hosted by Brad Paisley and Carrie Underwood and broadcast live from the Bridgestone Arena in Nashville, Wednesday, Nov. 2 (8:00-11:00 PM/ET) on the ABC Television Network. It’s been a busy fall for Skaggs. He will be inducted into the Musicians Hall of Fame tonight in Nashville and on Monday, October 31, he will be honored by ASCAP when he receives the organization's prestigious Founders Award.